Indonesian Islamic Art Museum is the first Islamic art museum in Indonesia. It displays an extensive history of Islam. It also uses advanced technology to go along with some of their displays. Visitors from foreign countries and local cities often visit this place each year. The Indonesian Islamic Art Museum sits in the same area as Wisata Bahari Lamongan (WBL). 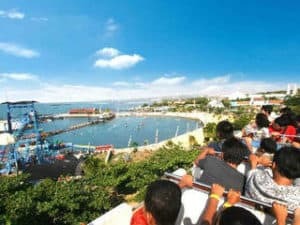 Wisata Bahari Lamongan is a tourism object in Lamongan Regency, East of Java. It was built by H. Masyfuk, S.H. This place is open to the public ever since 14 November 2004. The facilities include a lot of amusement rides and attractions. Some of the most popular ones are namely an educative insectarium cave, a glass house, and Space Shuttle ride. As for the Islamic Art Museum itself, it was officially opened on 22 December 2016. It aims to educate the public on everything there is to know about Islam. It also shows the history on the muslim empires. The empires include those of Ottoman and Turkey. The museum also offers knowledge on Taj Mahal. It was a Mughal Empire’s Islamic architecture. 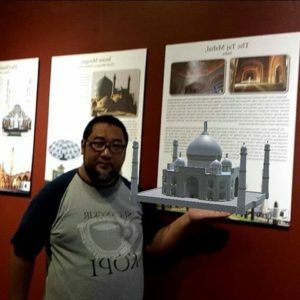 Another purpose of this museum is to teach about the growth of Islam. This is due to the fact that Indonesia is a major muslim country with the most number of muslims in the world. Along with that, it wants to highlight the subdistrict of Paciran. It is a subdistrict that has a very Islamic atmosphere. 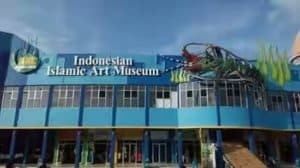 The Islamic Art Museum is located inside the Wisata Bahari Lamongan. They are on the northern side of Lamongan, East Java. It lies on the outskirt of the Java Sea, in the Paciran subdistrict. To reach Wisata Bahari Lamongan, any transport of choice is fine. It is easy to reach this place. Public transport as well as pivate one can take you there. Parking lot is available. However, if you decide to use public transport, make sure that you have an idea of the cost and the distance. People from outside the area can go to Lamongan by taking the bus. From the bus terminal, they can continue their journey by riding a taxi or any other transportation. The Islamic Art Museum provides informations of histories and artifacts that visitors can enjoy. During the visit, there are guides who will accompany visitors. The guides can speak English, Arabic and bahasa Indonesia. There are 3 zones in the Islamic Art Museum and the following describes each of the zone. This is a room that is set up in a way that replicates a movie theatre. In this particular zone, a historical movie on the topic of Islam is put on display. The name of the movie is called “The Glorious of Islam”. The duration of the movie is around 15 minutes. It tells the historical movement of Islam from the very beginning to the eventual spread to all parts of the world. The second zone is the main area of the whole museum. Inside the zone, there is a collection of things that were used during the Ottoman Empire, Mughal Empire, Ming Dynasty and the spread of the religion in Indonesia. 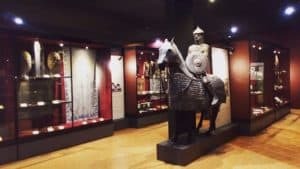 The collection include the armor and the clothes that were worn during the Ottoman Empire. Another one is the fabrics aging around 600 years and also ceramic made during the Ming Dynasty. Additionally there are clothes that were worn in the Kingdom of Aceh Darussalam and old money currencies that were used back then. Visitors can have a look at swords in the second zone. However, the most prominent one is the legendary Zulfiqar sword. Ali ibn Abi Thalib owned the sword which was given to him by Muhammad. The artifacts are displayed with lights so visitors can have a look at their details. Although the whole area focuses on education, the room is not filled with silence. They play Middle East music as background sound to make the visit more enjoyable. Last but not least is the third zone. The area consists more entertaining features. Visitors like to use this area to take various pictures with different objects and backgrounds. There are numerous dioramas in this zone such as a miniature mosque, ship and conventional shops. Also, there is a miniature view of the beach with additional sound of the waves. This gives visitors a slice of the experience on actually being on the beach. Dioramas of mosques also have sounds of people praying or reading the Quran. As mentioned before, the Islamic Art Museum is the first to implement an advanced technology. The name of this technology is Augmented Reality (AR). By downloading the application from Playstore, visitors can scan barcodes of pictures in the museum. When the scanning is successful, a 3D version of a picture appears. So the technology enables the visitors to have interaction with the 3D image. They can also take pictures of it too with poses as if they are actually touching or holding it with their hands. Visitors may want to stay longer in the are. There are many hotels surrounding it. There is Tanjung Frog Beach Resort which is not far from the area. It has a fantastic view of the beach and the sea. Besides that, there are also guesthouses. Make sure to compare prices first before making a decision. Especially if your are tight on a budget. Read reviews and consider mobility reasons. They will help you know what to expect and ready to plan ahead. If visitors are happy with the experience of visiting the Islamic Art Museum, they can also go to other nearby places. Similar to any other amusement parks and tourist sites in Indonesia, there are food courts. Visitors can visit food courts when they are hungry or tired. 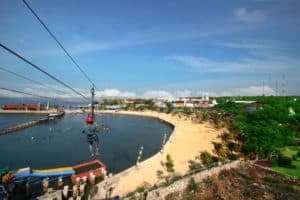 Visitors who want another adventure can go inside the Wisata Bahari Lamongan. Enjoy the go-Karts, the conch gallery and the outdoor swimming pool. There is also Flying Fox if you want to see the view of everything from above. Enter the nearby Maharani Zoo and Cave to see animals. There are zebra, camels and different kinds of birds. You can see beautiful stalactites and stalagmites inside the cave. There is also a gallery of gem stones. Other places to visit include the Grave site of Sunan Drajat and Sunan Had Sendan Duwur. They were members of notable saints in the country. They spread the teaching of Islam in Indonesia. All in all, there is no regret in visiting the Indonesian Islamic Art Museum in Lamongan. Educate yourself on Islam in a very fun way. Other places are worth checking out also so you can take in the beauty of Lamongan as well as their historical sites that other countries do not have.